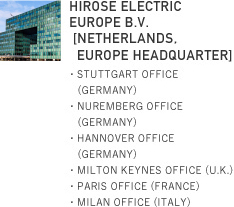 Our overseas business began in 1967, when we signed our first distribution agreement with overseas agency. 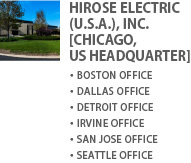 We have steadily expanded our sphere of business since then, and now operate a sales network that links four main regions: Japan, Asia, America, and Europe, in addition to moving forward with the development of overseas production centers, so that we are able to meet international demand for connectors. 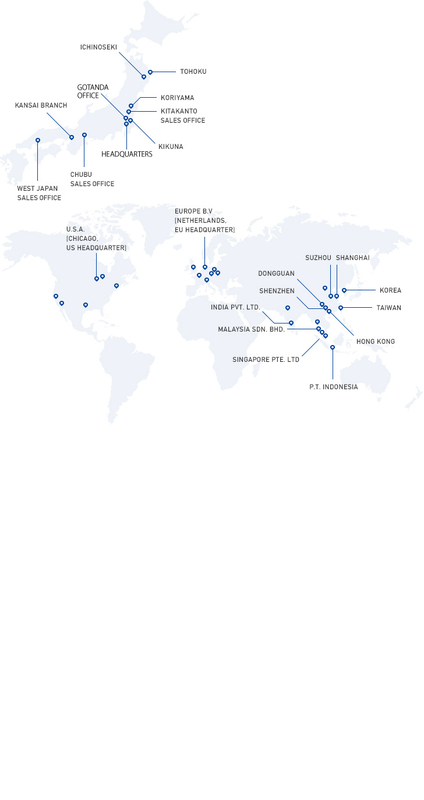 We will continue to actively globalize our R&D function and strive to expand our world market share as a global brand.